A Christmas program. Edna Bickner - back row, first on left. Minnie Clinefelter - back row, last on right. Description Possibly the interior of Oswego School. Transcription A Christmas program. 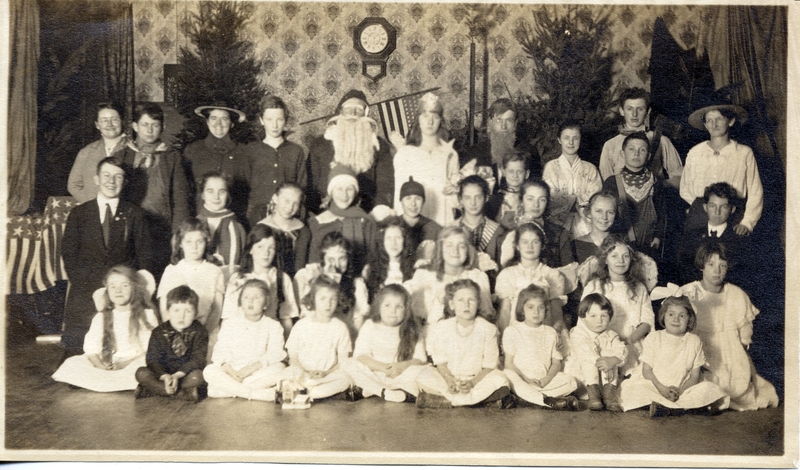 Edna Bickner - back row, first on left. Minnie Clinefelter - back row, last on right.